As 2018 comes to a close, an exciting list of events are being unveiled at McCormick Place. Every year Chicago hosts a diverse amount of mega-conferences, and 2019 is no exception. 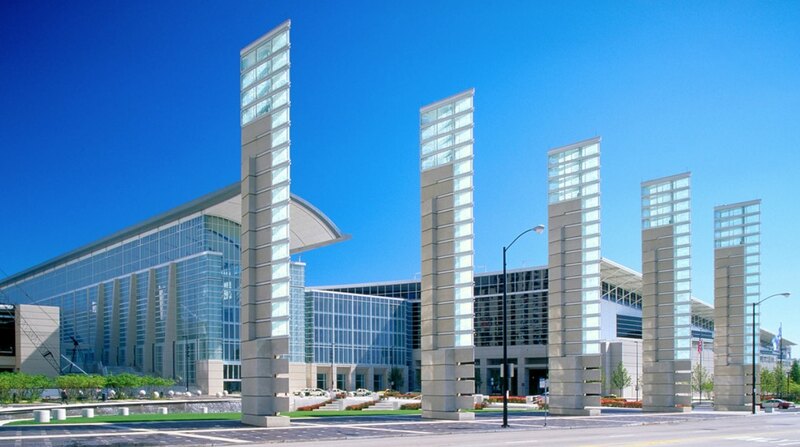 Located just 2 miles from downtown Chicago, the McCormick Place is the largest convention center in North America. 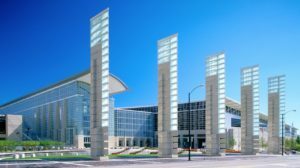 Boasting 2.6 million square feet of exhibition space and assembly seating for 18,000, it’s no surprise that this sprawling convention center hosts some of the most epic events in the country. Now that streams of high-end visitors are attending conferences in Chicago, companies are scrambling to find better accommodation options. While traditional hotels work for corporations on a budget, most innovative companies choose to stay on private yachts. This trend is fueled by the many advantages of spending the night at Burnham Harbor. 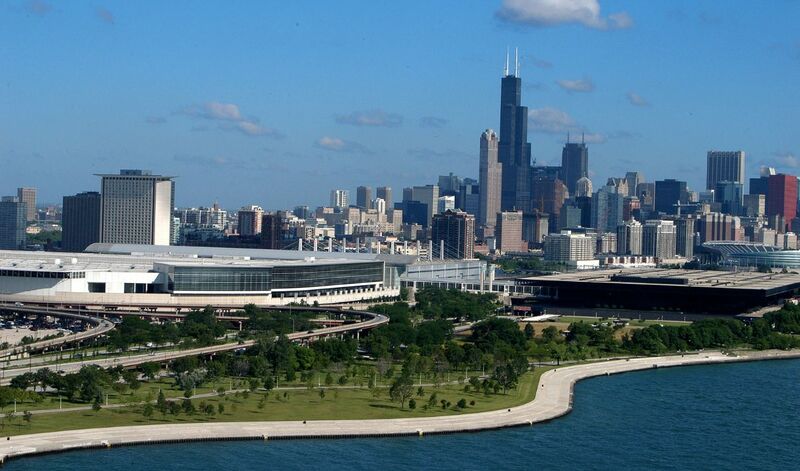 On top of being a breathtaking setting, this strategic location is only one mile away from McCormick Place. For companies who are tired of staying in overpriced hotels and still having to sit in traffic, private yachts are their salvation. At Adeline’s Sea Moose, we feel obligated to give clients a much needed break from mediocrity. Visiting a conference should never be dull, which is why we offer multiple sleep aboard options. Our 68 ft. private yacht is docked in a prime position at Burnham Harbor, which provides easy access to McCormick Place. From private parking to an unlimited potential for amenities, we go the extra mile to treat our guests. Aside from sleep aboard options, we also offer 3 hour charters down the Chicago River. This allows companies to treat up to 45 guests to the tour of a lifetime. By looping past Navy Pier, we provide a unique vantage point of all of Chicago’s most revered river-side attractions. From the Planetarium to Shedd Aquarium, no worthwhile landmark is neglected on this epic charter. There’s plenty of reasons to come to Chicago, and our world renown events are a great place to start. 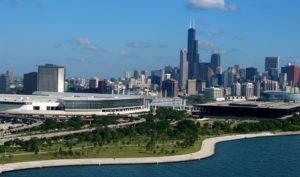 To highlight the exciting events of the upcoming year, we compiled a list of McCormick Place’s top conferences in 2019. These events are in a class of their own, so provide the perfect compliment by booking our yacht! Drawing over 76,000 salon professionals and owners from across the country, this event single-handedly unites the beauty industry. Every year thousands of established cosmetologists, estheticians and nail technicians descend upon Chicago to celebrate all aspects of beauty. This congregation of innovative minds helps the industry continue to evolve at an impressive pace. As an added bonus, Cosmetologists Chicago utilizes funds raised through the show to award advanced education and scholarships. This inspiring act of comradery allows attendees to help budding entrepreneurs while getting caught up on what’s going on in the industry! When it comes to food and beverage developments, no organization is more involved than the National Restaurant Association. Their upcoming centennial conference is a testament of how they have been at the forefront of the industry for decades. From exhibitions of internationally celebrated chefs to world-class bartenders, this conference incorporates every aspect of the food and beverage industry. After hours this event is followed by mixology competitions and concerts, so don’t miss out on the action! For those who love treating their sweet tooth, this event can’t be missed. By attracting thousands of retailers, wholesalers and distributers, this is the largest candy and snack trade event in North America. It comes right on the heels of the National Restaurant Association Show, which is a tasty grand finale to McCormick Place’s culinary streak. Attendees get exclusive access to 45 award-winning candy and snacks that are poised to take over the industry. On top of gaining valuable insight, this is a great excuse to eat some of the most delicious treats available. There are many other spirited and educational events happening at the McCormick Place coming up in 2019! If you are looking for something unique, luxurious, and adventurous after the conferences, you really should not be missing out on touring Chicago aboard a private yacht with your colleagues. Chicago Private Yacht Rentals is one of the closest place to stay near McCormick Place and will provide you and your guests an unparalleled excursion to experience the splendor of our Chicago homeland.